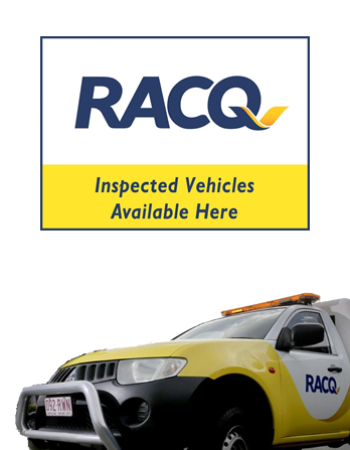 RACQ Pre-Inspected Used Cars at Westco Motors Cairns Westco Motors is proud to now offer RACQ Pre-inspected Vehicles and RACQ Vehicle Appraisal Reports on our Used Cars. For a copy of the report for a particular vehicle, please use the enquiry form on the vehicles detail page. Buy with confidence with our RACQ Pre-Inspected Vehicles! Interior - Interior Trim including Seats, Restraints, Window and Door Mechanisms. Under body Inspection Visual inspection only of panels, Frames, Steering and Suspension, Exhaust and Driveline Components. Electrical System – Battery, Alternator and Charging System check, Light operation and condition, Horn, Heater Demister and A/C operation. Road Wheels condition and Tyre tread depth and condition. Engine oil level and condition. Road Test - A Road Test of at least 8km will be carried to test steering, suspension, brake operation, engine & driveline operation. If you want to buy a used car in Cairns and want to buy with confidence and peace of mind, look no further than our RACQ Pre-Inspected Used Cars.